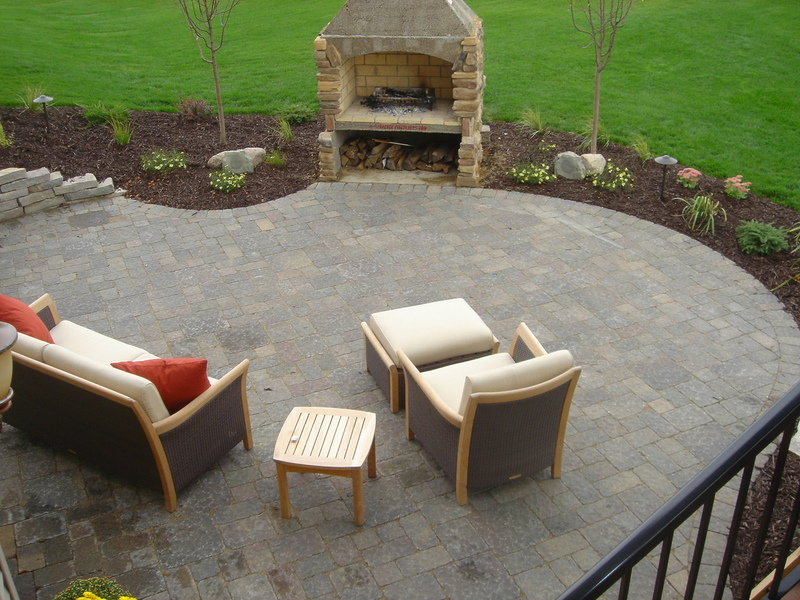 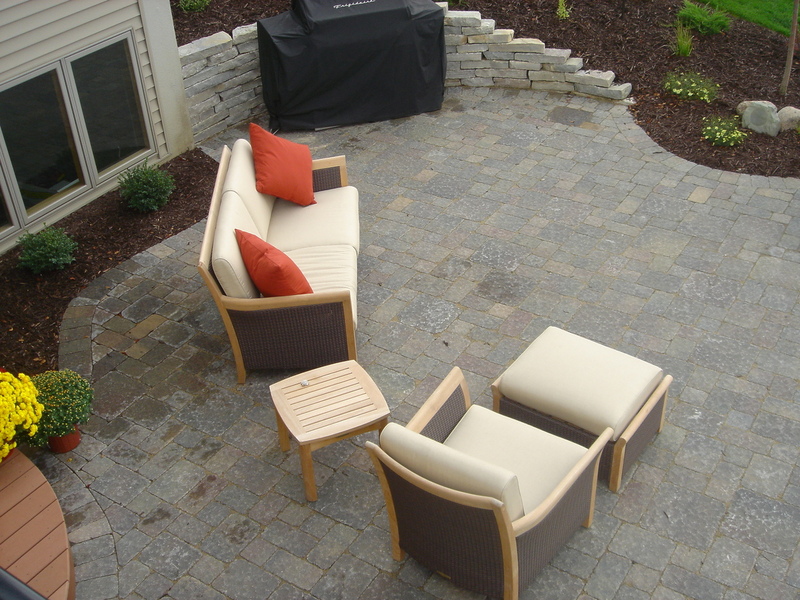 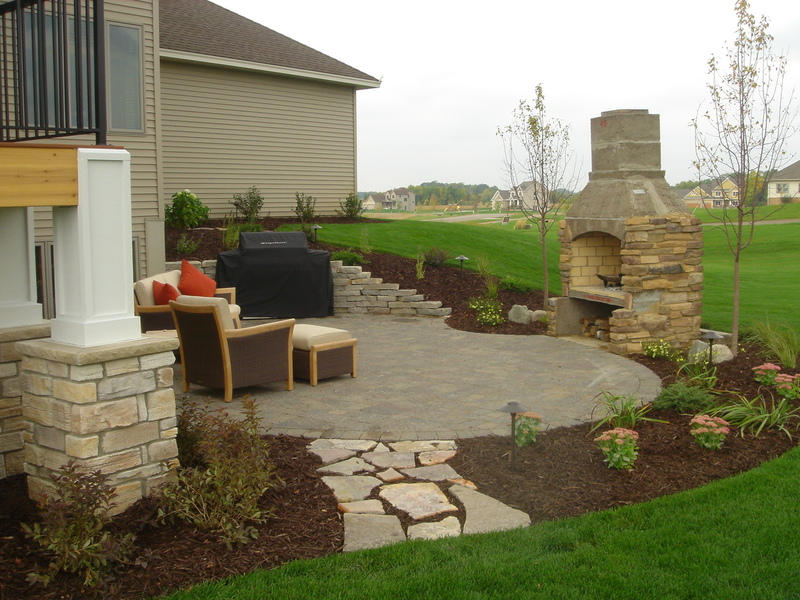 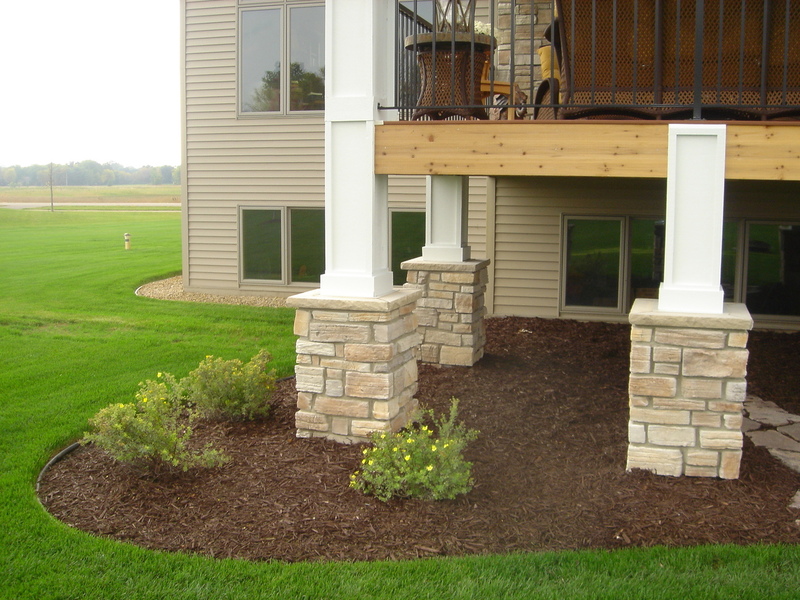 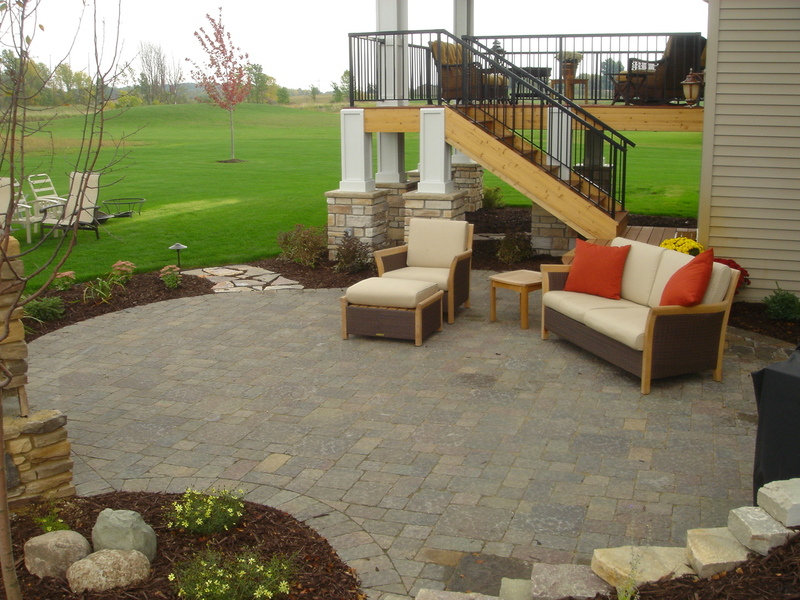 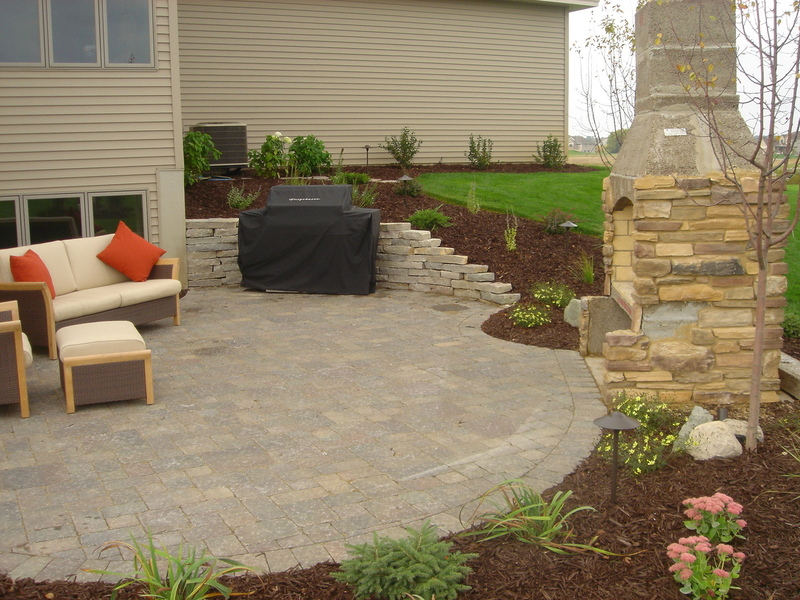 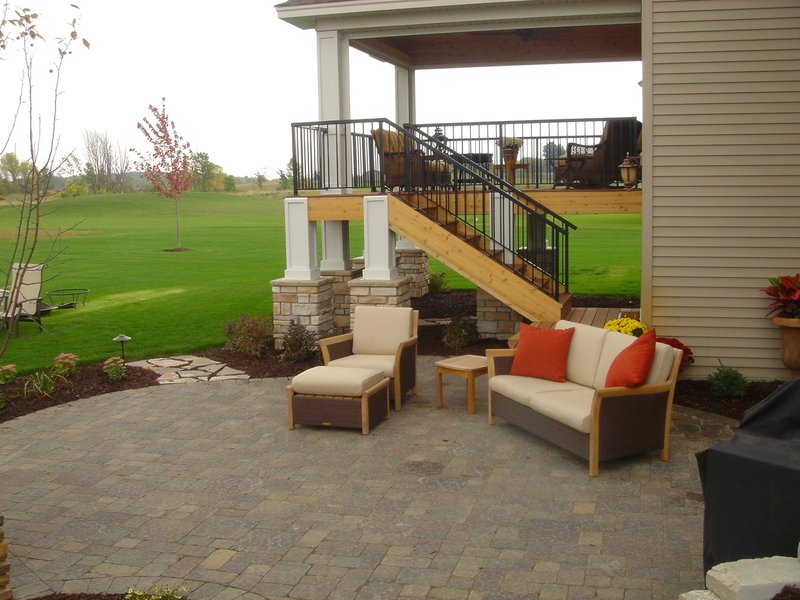 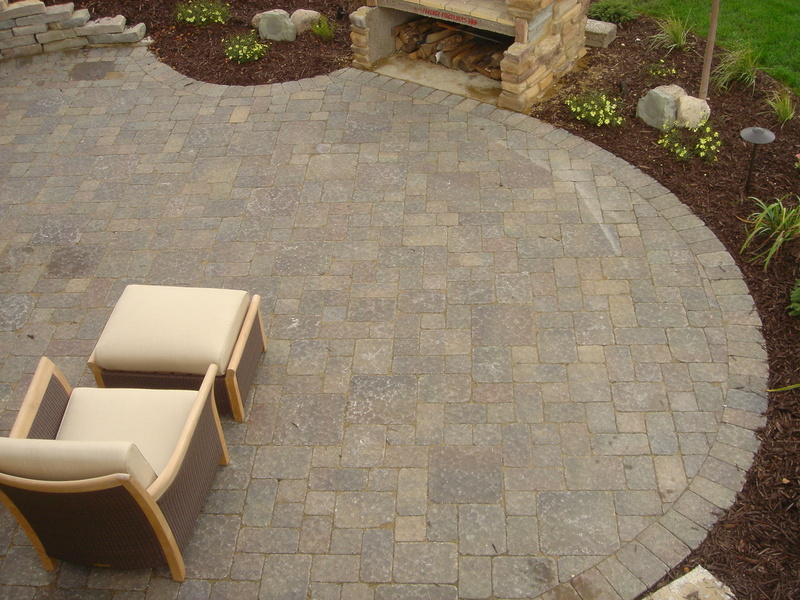 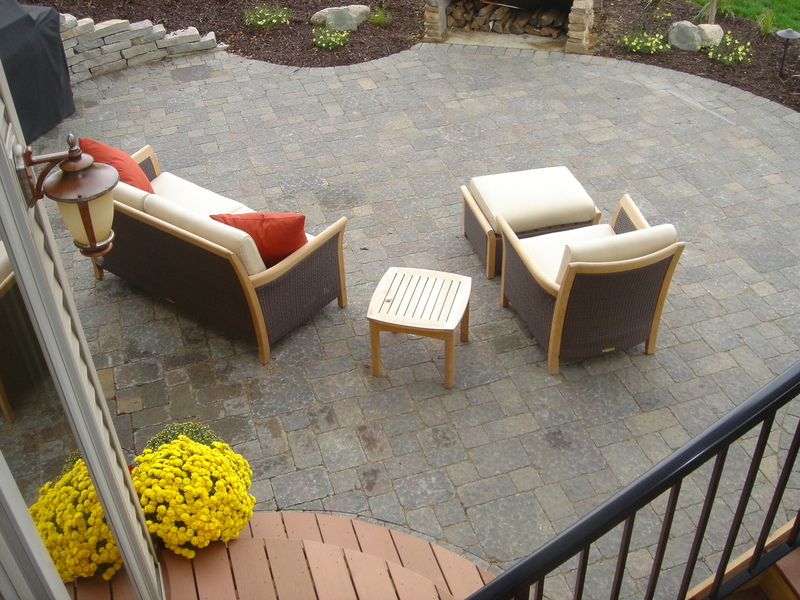 Custom landscape and hardscape design on this project in Corcoran, MN included an Anchor Tumbled Charleston paver patio, a Chilton stone retaining wall and a 48″ outdoor fireplace with custom cultured stone that matched the stone wraps on the screen porch. 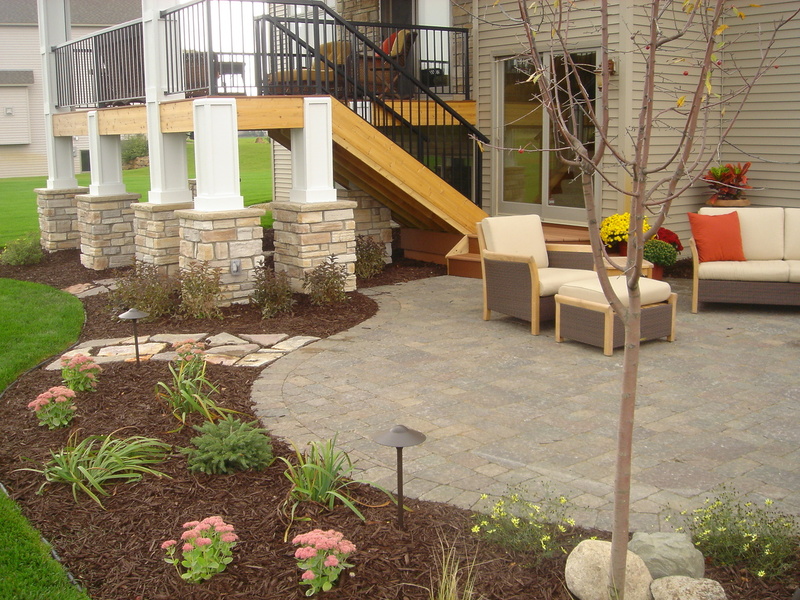 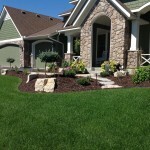 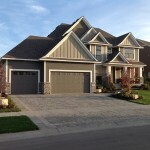 All of the hardscapes stood out with the colorful Crabapple trees and perennials, it was all brought together with a dark coco brown dyed mulch. 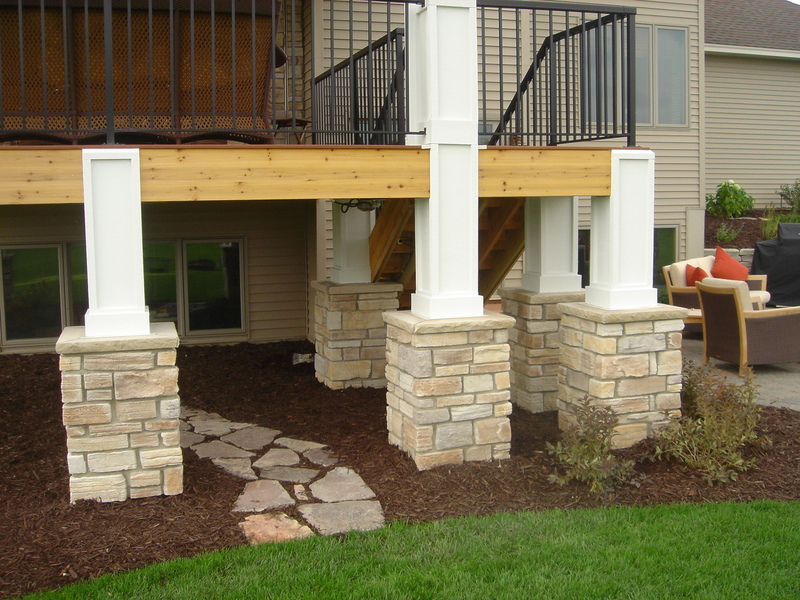 Custom screened porch with retractable screens, cedar tongue and groove ceiling and matching stone accent wall.